Incredible quality and exceptional value. TryWinc.com/TWIST to get $20 off your first order now plus complimentary shipping. Try ShipStation.com free for 30 days and get an additional month free using promo code “TWIST”. 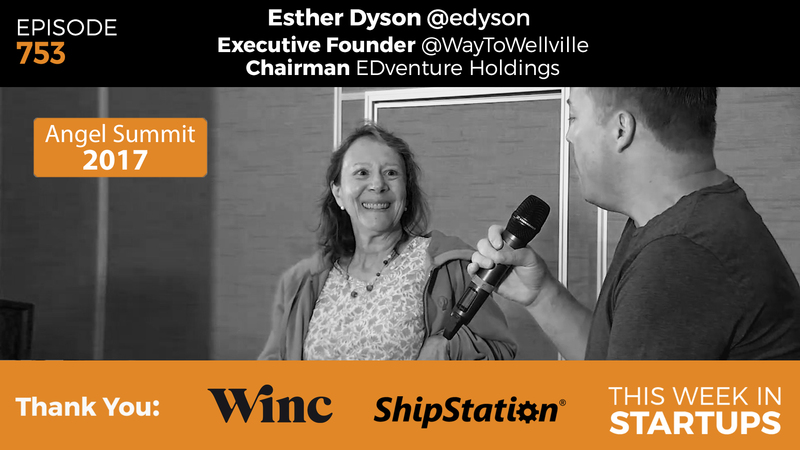 Filmed live on stage at the 2017 LAUNCH Angel Summit in Napa Valley, Jason interviews Esther Dyson, journalist and technology investor turned wellness enthusiast, who is on a mission to better health by rethinking and recreating the environment in which it can thrive. In this special episode of TWiST, Jason and Esther discuss the progression of angel investing over the years, the complexities around U.S. and Russia relations, predictions of AR, VR, & self-driving cars, real-world issues including diabetes and income volatility, and more.